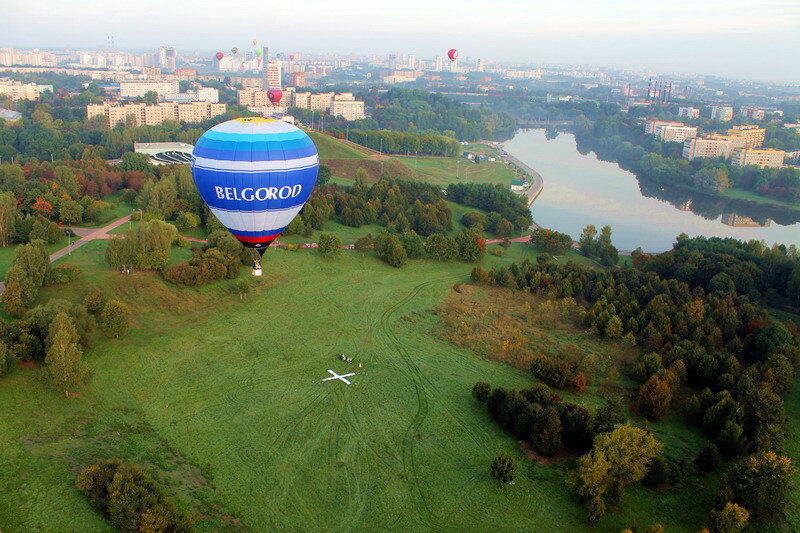 Balloons flew over Minsk, the capital of Belarus, where the First Hot Air Balloon Championship of Belarus took place. 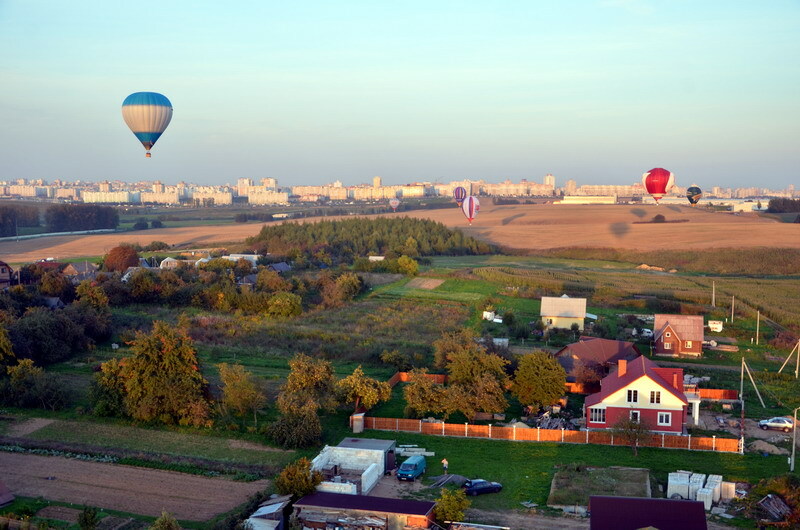 Hot air ballooning is one of the most romantic and entertaining sport one can enjoy. I have written before about aeronautics when I was in Crimea, which I involved with for many years. 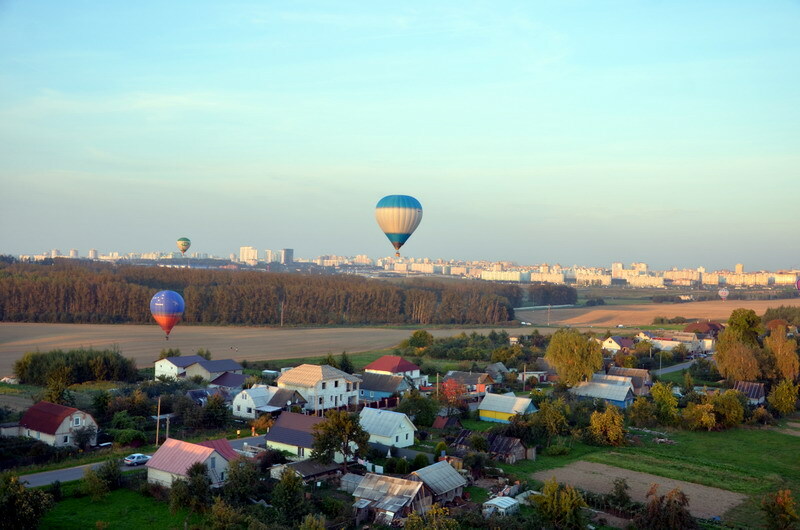 This time 20 hot air balloons flew over the beautiful city of Minsk and created an outstanding event. 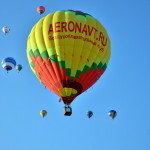 My friends and I took part in this competition with our wonderful pilot Andrey. 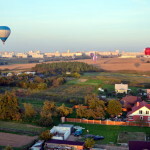 Flights take place in the early morning and in the evening just before sunset. 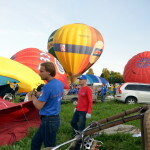 Preflight briefings are mandatory before each competition, when every pilot receives information about the weather and information about the flight. Every pilot get tasks and markers. Markers are a coloured ribbon made of a special heavy duty nylon with a small bag of sand attached at the end, these are used for better gravity discharge. 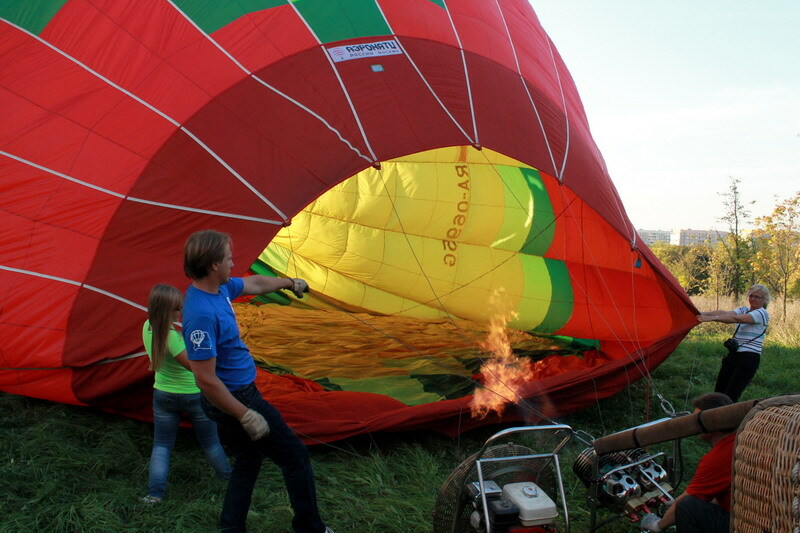 The Pilot has to drop markers from the basket as close to the goal as possible. Usually, the goal or target is a white cross on the ground which is clearly visible from space above and placed in a spot according to predetermined coordinates. In another task competitors attempt to reach a mark or a valid track point, this task is named “Hasitation waltz”. 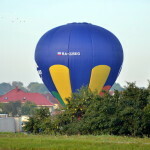 In the “Hare and Hounds” task, pilots have to follow the hare balloon and attempt to place a mark or land in the area of the hare balloon. 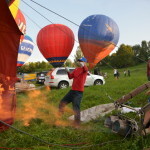 The results of the tasks are determined by the skills of the pilots. 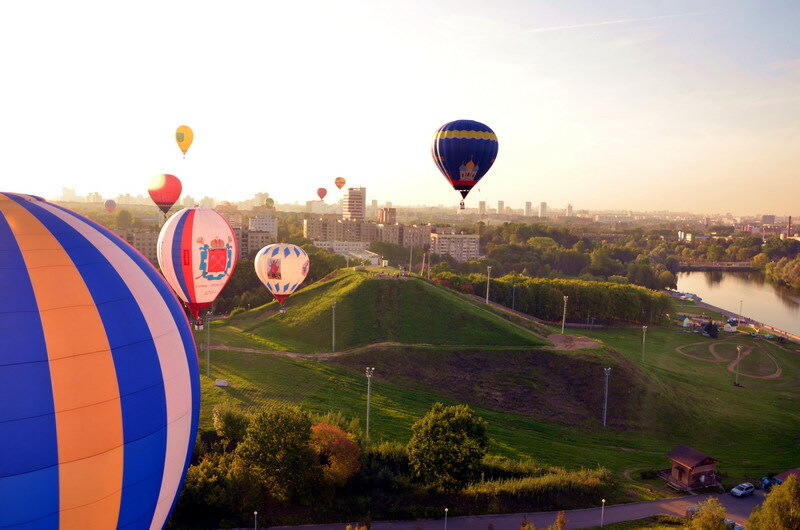 Sometimes good luck helps the pilots in the form of a tailwind blowing in the right direction or a successful upward or downward flow of air at the right time. 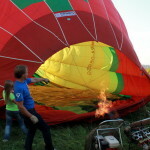 To prepare the balloons before the flight, every team expands the shell of the Aerostat on the ground, connect and secure the shell to the basket, then expand the balloon with cold air using a fan and finally, by using a gas burner, fill the balloon with hot air. 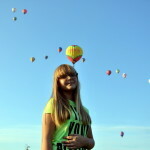 When the aerostat is raised vertically it is ready for take off. 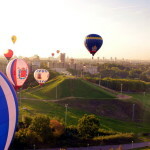 None of the flights are repeated, so the fun of flying not only at a height close to the clouds but also with the most fantastic panoramic views ever, fills one’s soul with great joy. 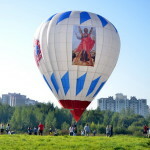 Depending on the wind direction and speed, the flight duration could be up to 2 hours, the gas stored in four gas cylinders installed at each corner of the basket are generally sufficient to last at least two hours or more. 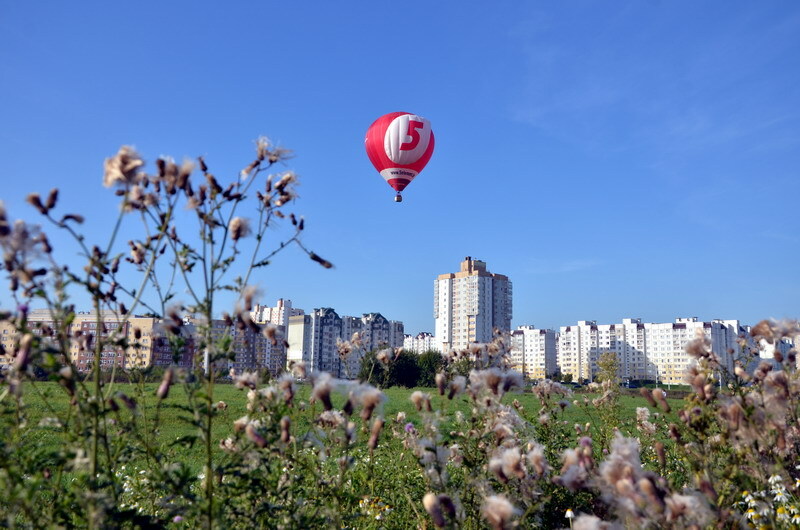 Not so many cities allow you the freedom to fly a balloon along the streets, waving at the residents and wishing them good morning. This turned out to be a very special flight. 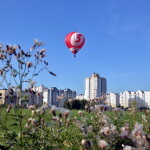 Imagine the situation if you are awaken in the early morning by a strange noise outside your fourth floor window and popping out on to the balcony you come face to face with a gigantic balloon, what a shock and disbelief that a flying aircraft is taking place at the height of your fourth floor apartment and ask yourself “is it a dream or a miracle “? 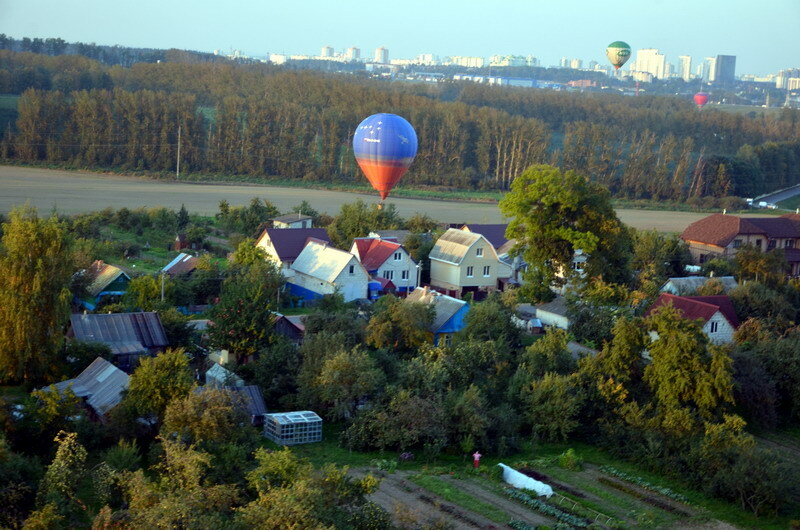 Pilots have to choose a landing place according to weather conditions and topography of the land. 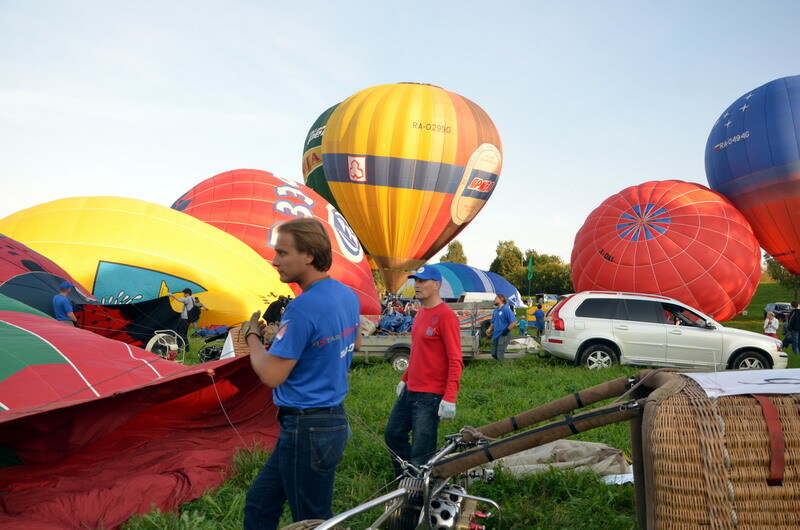 The support team follows the balloon route by car and after landing, help pack the shell, load the equipment in the trailer and bring the team back to the competition center. 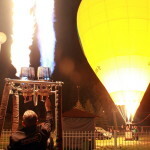 At the end of the competition, an incredible light show spectacle took place by the river bank, when all the balloons light up the night sky one last time. 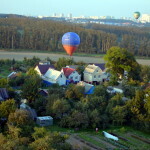 We will be back in Minsk again next year! This event was truly memmorable and an unforgettable experience. 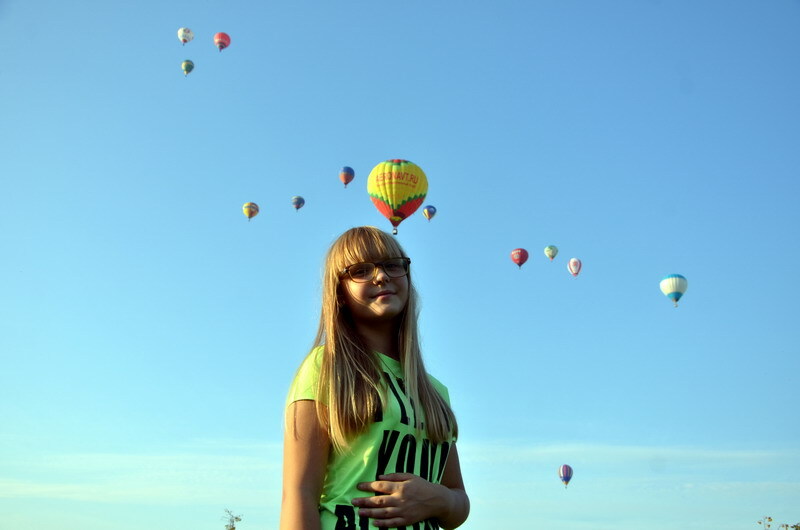 In general Belarusians are a very good-natured and hospitable people. 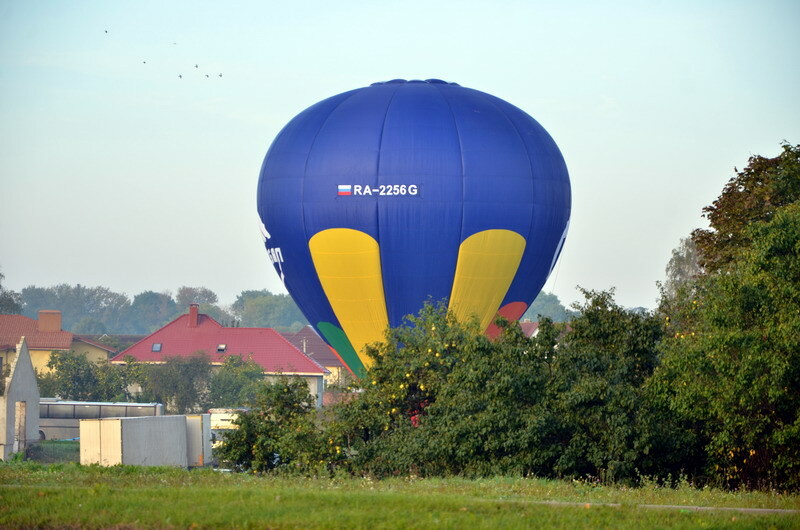 They make everyone feel like welcomed guests, especially balloonists and their passengers. In one small village one of the locals invited us to help ourselves to his apples in his orchard. Guess who went home with bags full of apples? 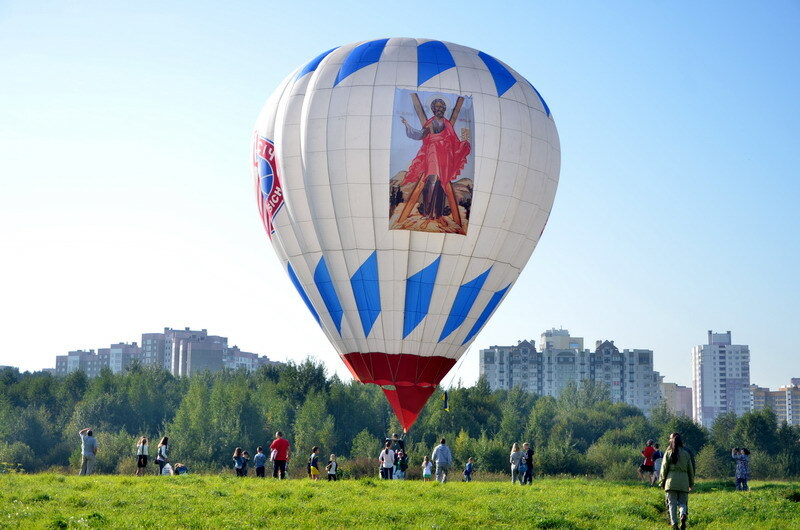 This entry was posted in Photo gallery, Traditional events and tagged Ballooning in Minsk. Bookmark the permalink.